Coaching Constellations was established in the UK by John Whittington with the purpose of sharing the many benefits of the stance, principles and practices of systemic coaching and constellations. He began to offer workshops and trainings in London from 2009. Executive coaches interested in a systemic perspective and methodology soon grew in numbers and it wasn’t long before John was invited to teach and facilitate across Europe. 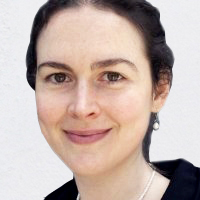 Maren Donata Urschel, who will be leading our Berlin workshops and trainings, first met John when he was teaching in Italy and subsequently trained to Practitioner level with him and Coaching Constellations. A little later he invited her to join the teaching facilitation team and contribute to his book ‘Systemic Coaching and Constellations’. From 2016 Maren has been an integral part of the teaching team, training others in the fundamentals of this approach in London. When Maren and her young family moved to Berlin in early 2018, the idea to offer introductory workshops and trainings in Germany emerged naturally. This site and the workshops and trainings it offers are the result. Welcome! From 2019 Maren will offer regular constellation workshops in English, starting with half-day ‘Stepping Stones’ workshops. These experiential workshops will offer facilitated practice and supervision and are open to coaches, consultants and others with an interest in applying a systemic perspective to their work. The workshops will offer a unique opportunity to understand how system-level dynamics play out in organisations and to bring the philosophy and practice described in the book Systemic Coaching and Constellations to life. Each day will combine teaching with support for questions and enquiries participants bring from one-to-one, team and group settings. Maren, who was born in Heidelberg, is fluent in English, German and Italian. She lived and worked in the UK and Switzerland for over 20 years before returning to Germany and settling in Berlin. She holds an MSc in Organisational Psychology from the London School of Economics and trained deeply in organisational constellations and systemic coaching. Maren works as a coach and coach supervisor face-to-face and virtually with individuals and groups. Maren contributed to Systemic Coaching and Constellations and facilitates Coaching Constellations’ trainings in London throughout the year. She offers systemic supervision to students of Coaching Constellations trainings. In her spare time Maren plays violin in symphony orchestras and chamber ensembles. In 2020 Maren will offer the Coaching Constellations ‘Fundamentals’ training in systemic coaching and constellations in Berlin, in English. This will be in the same format as in the UK, starting with the two-day ‘Fundamentals Part I’ and then a separate three-day module, ‘Fundamentals Part II’. Part II will be co-facilitated by Maren and John. This is offered with great respect for the rich history that systemic constellations have in Germany, where this methodology originates. The book ‘Systemic Coaching and Constellations’ was published in its 2nd Edition in 2016. 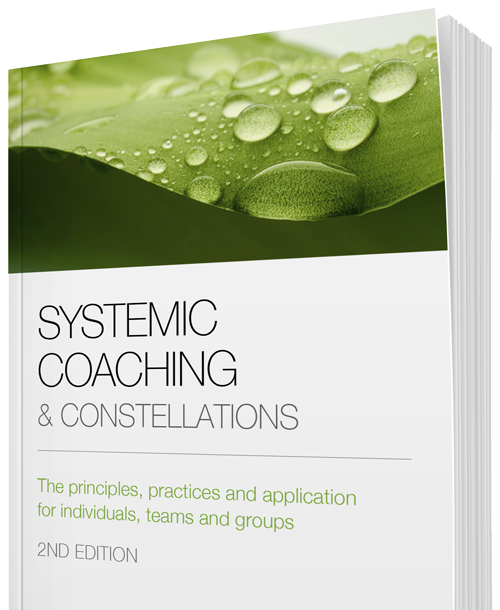 It offers a practical introduction to the stance, principles and practices of systemic coaching and constellations. Next to theoretical input, it is also a rich resource of exercises and practical examples of how this methodology can be applied to individuals, groups, teams and whole organisations. Participants of the workshops and trainings – whether new to this methodology or already experienced – are invited to read the book to enhance their learning and experiment with applying it.